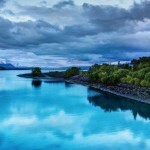 Return flights from London to Christchurch, New Zealand from £518! Cheap open-jaw flights to Hong Kong from just £215 or €239! Cheap flights from Brussels to Dominican Republic from €249 return! Exploring natural wonders of incredible New Zealand´s South Island during local spring is possible when departing from London. Return flights with one layover in China (Guangzhou) are now available already for £518 incl. all taxes and checked bag. Our solution to Christchurch (also to Auckland) is based on SkyTeam member China Southern Airlines. (4* airline ranked by Skytrax). Some of the flights may require over 8h layover on your way. China Southern is one of the carriers offering free hotel during layover. At this moment very limited availability thought.. If interested in this China Southern Airlines sale look for flights departing from London to Christchurch between 25th of October and 12th of November 2018. Latest date of your inbound flight has to be 27th of November.Max stay 1 monh. You can save some decent money when booking your accommodation in New Zealand with this Hotels.com promo code. Book this China Southern promotion by 2nd of October or until sold out..Below you can refer to our booking and travel date samples. Booking sample of cheap return flights from London to Christchurch, New Zealand from £518. Also as per our booking sample you will fly from London to Christchurch on 3rd of November. Your return flight from New Zealand to the United Kingdom would be then on 17th of November 2018.